welcome to the 12 Days of Christmas 2016 Day 9! 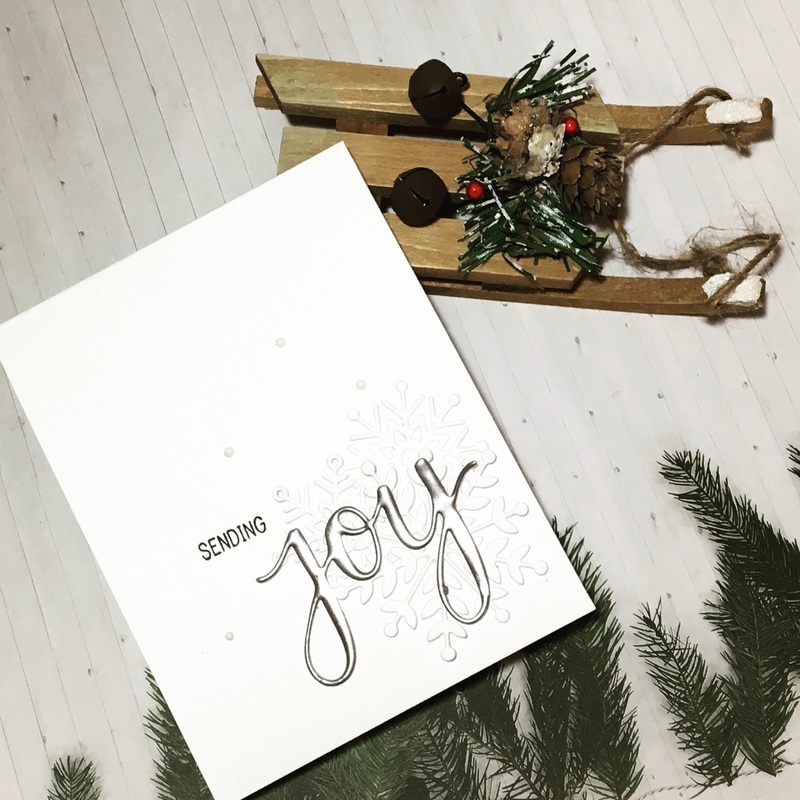 Time is flying by and I am so enjoying making these Christmas cards and getting ahead for the holiday season! 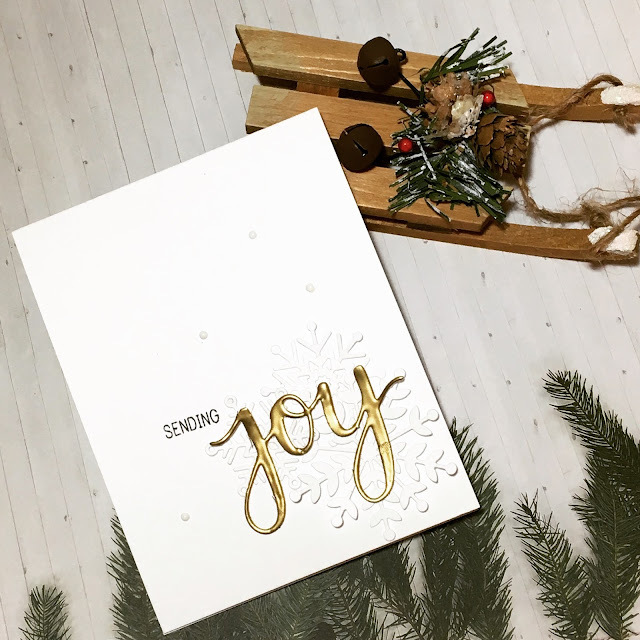 Today I am featuring a very practical set because the Joy set comes with both a stamp and a die for a low price! I also am going show you a technique in the video on how to make die cuts look like store bought embellishments! Don't forget, if you're dying for more videos right away, you can refresh your memories with the 2015 and 2014 series or the other videos for the series that I have published so far in 2016. So beautiful, Justine! I have a 'thing' for snowflakes! 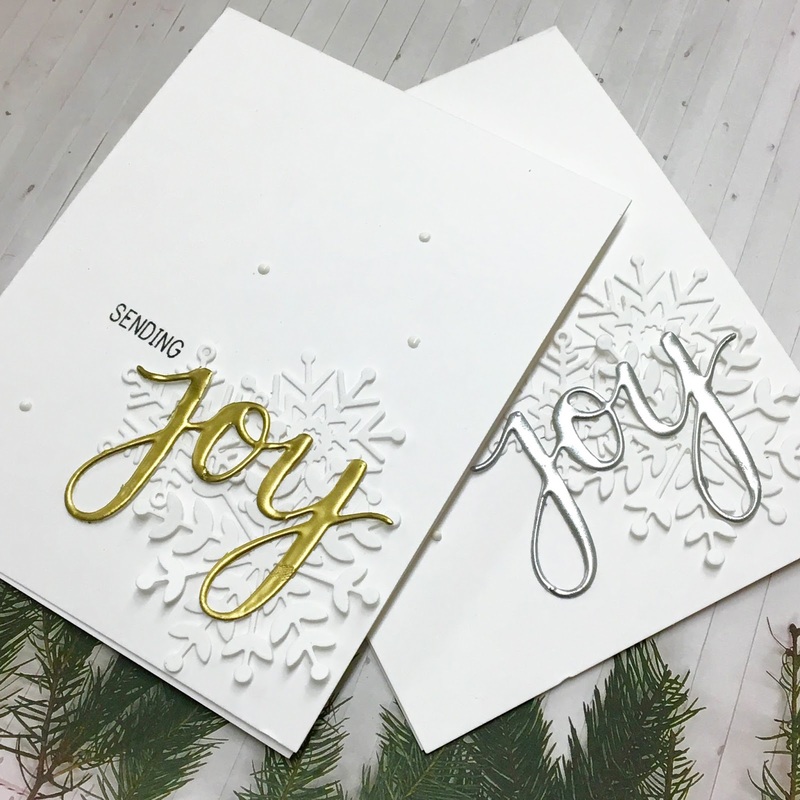 Lots of snowflake stamps and dies, and these are lovely!